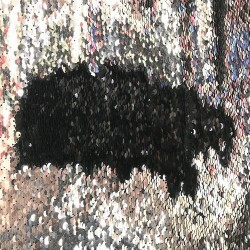 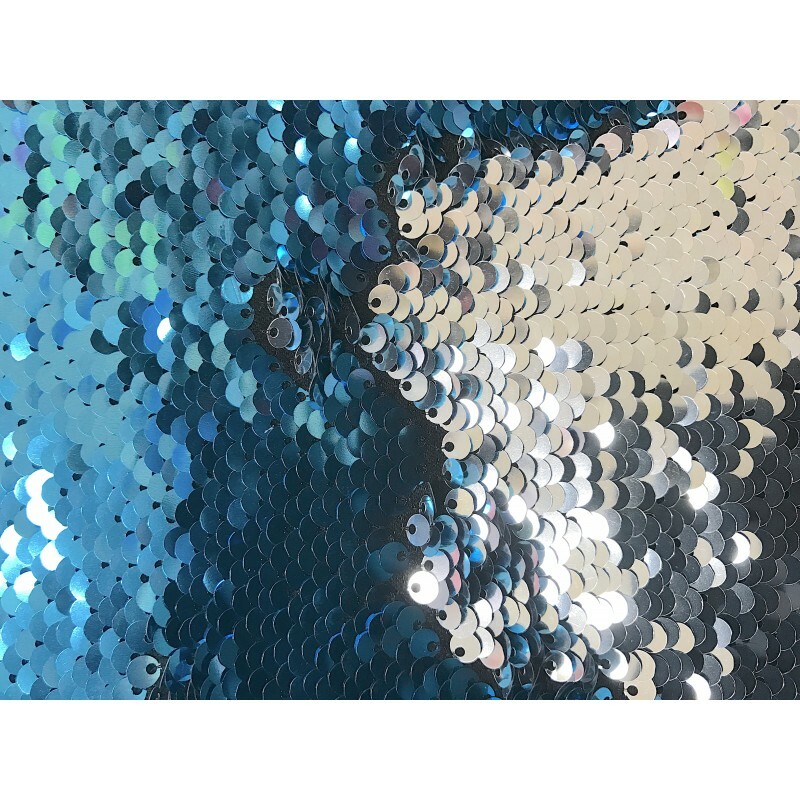 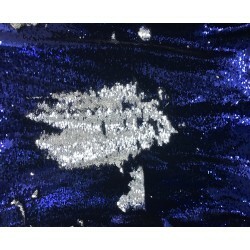 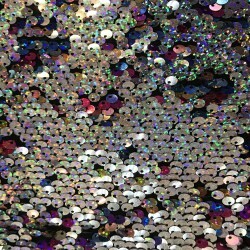 This two tone fabric has Light Blue sequins on one side and reversible Silver on the other. 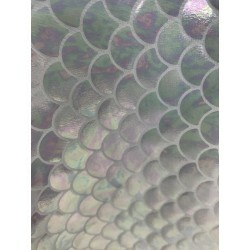 It sits on a lightweight stretch fabric which allows the fabric to have a slight stretch. 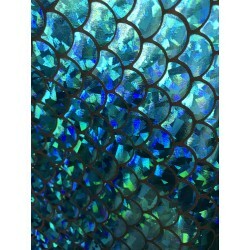 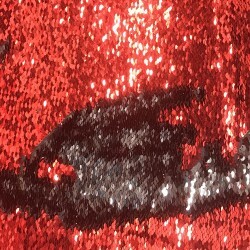 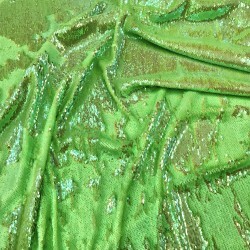 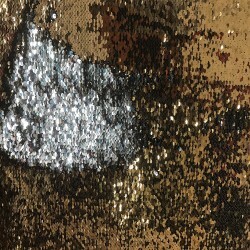 Ideal for dresses, costumes, gowns, jackets, shoes, decorations, handbags, pillows and more.